Final Cut Pro X and Premiere Introduction courses, perfect for beginners. Corporate tuition, working together on common project goals, onsite at your office. Ideal for groups looking to improve their knowledge on Apple devices and software. Final Cut Pro X is a powerful, yet simple, revolutionary video editing tool. We will show you everything you need to know: from putting together your story to adding professional titles, effects, transitions and more. Adobe Premiere Pro is an industry standard video editing application, known for its Adobe Creative Cloud use. We will show you how to import, edit, add titles, transitions and share your film with others. 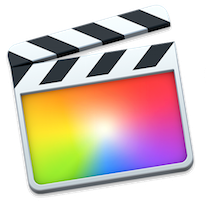 Final Cut Pro X is a powerful, yet simple, revolutionary video editing tool. We will show you everything you need to know: from putting together your story to adding professional titles, effects, transitions, grading, and more. On this 1 day course, you'll learn the FCP X interface, import and organise your project media, edit and export. From start to finish with no previous editing knowledge required, we'll get you up and running. NK Group Tuition is perfect for businesses that require training for the company, group, or even 2-3 colleagues. Whether it's understanding Final Cut Pro X to working on a company-specific project, we're here to help. Adobe Premiere is an industry standard video editor. Famous of collaborating with Adobe Creative clouds apps, we'll work with you to get you understanding and organising your media, through to editing, adding titles, transitions, audio and sharing your film to your audience. On this 1 day course, you'll learn the Adobe Premiere interface, import and organise your project media, edit and export. From start to finish with no previous editing knowledge required, we'll get you up and running. Introduction – Introducing the Adobe Premiere Interface. Importing – Understanding transcoding, project management and more. Editing – Understanding basic editing techniques, essential shortcuts, working with the timeline and using tips used by professionals. Exporting – Sharing your project and exporting using Adobe Media Encoder for best results. The 3 day course was even better than expected. Nick is really friendly, patient and pays attention to everyone. I definitely recommend this course and looking forward to attend the advanced one. The 3-day course was really interesting and so helpful - was a thorough introduction to Final Cut Pro, giving me the skills I needed to start editing. I would definitely recommend it! A brilliant introduction to FCP X, taught in enough detail and at the perfect pace. Would highly recommend! I had an absolute pleasure of working with Nick whilst he was a Creative Apple’s Flagship Store. Nicks passion is infectious. He possesses the rare skill of being able to inspire those around him. Nick was an excellent trainer. My needs were completely different to others in the class, he managed to tailor the lessons specific to what we required as individuals. Thank you Nick, for a fun, informative and tailored FCPX course. Would thoroughly recommend and valued all of the extra technology-related advice that you shared with us! An informative, clear and interesting course delivered by an experienced, enthusiastic and professional individual. I learnt an incredible amount on my 1 day course. This was a valuable course which I would highly recommend! Apart from loving what we do, we also love training others on how to do it. We only hire professional trainers that are industry experts and certified Apple trainers. This means you will get the very best expertise for any course. STILL HAVE QUESTIONS? You can enquire using the form below and we'll be in touch as soon as we can. READY TO BOOK? Simply 'choose your course below' then choose the course date. If you have a large group booking please enquire below and we can tailor training around you! WHAT PAYMENTS DO YOU ACCEPT? We accept all major debit and credit cards and are now accepting Paypal. Alternatively, we accept BACs if you simply use the enquire form below, we'll get an invoice right over to you. We accept all major debit and credits cards, paypal and BACs payments. NK Films’ founder. Working closely with brands such as Adidas, Apple, Jack Daniels, Huawei, Pepe Jeans, Canali, Kiko, MAC and many more for 9+ years. An award winning filmmaker, specialising in documentary films. Ashton has directed independent festival films that have been screened at various film festivals and on television and produces commercial projects for brands, organisations and government bodies. 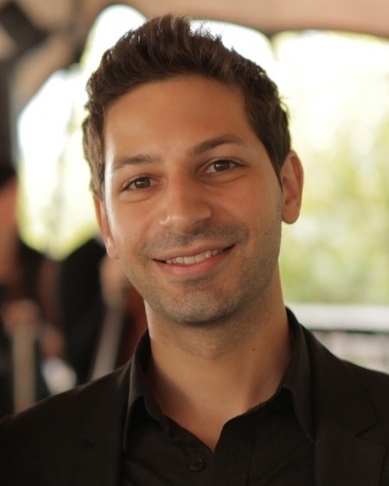 Ashton, has worked for Apple and Google as a trainer and specialising in editing software with over 8 years of video editing training experience. Your in good hands. WHO: Whether you’re a business owner looking to create marketing videos, a corporation looking to train your employees in creating video content, you’re starting a YouTube channel or want to edit your home and holiday videos into entertaining films, our courses are for you! WHAT: All you need is your laptop and a basic Mac OS X/Windows knowledge is required for our courses, that's all. We can provide trial versions of the software on the day, we provide editing materials, so all we need is you! WHERE - We tailor our courses in Central London to cater for easy transport and comfort in each class. WHEN - Course days run 10am-5pm during the weekends that best suit our students, please book our existing dates or enquire for specific dates for larger groups. WHY - We only have industry expert trainers that live and breathe post-production and teaching, with a 100% customer satisfaction track record. GROUPS - We absolutely cater for group bookings! We offer discounts on larger groups/organisations that wish more than 1 colleague along. We're pleased to offer a tailored course for company specific goals, enquire below.